June 11 “Rosenblatt: The Final Inning” NET original documentary premieres on NET1 AND NET-HD 7 p.m., Check local listings for rebroadcast dates/times netnebraska.org/television, Go online to view YouTube teaser of the film When it comes to fabled Omaha landmarks, few have the emotional, historical cachet and context of Rosenblatt Stadium. 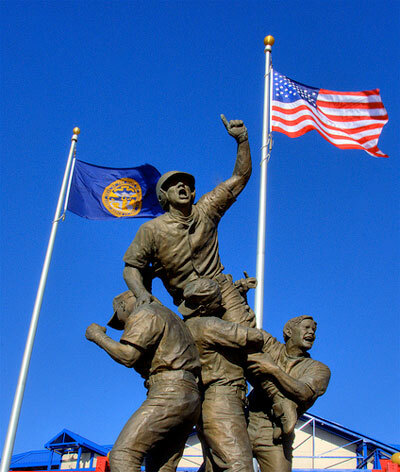 Whether you love or hate the old barn, or are just indifferent toward it, you can’t easily deny this baseball shrine its due as longtime home of the College World Series, professional baseball and much more. You can’t ignore the memories and moments, some only etched in the minds of those who were actually there, others shared vicariously by TV viewers. With the ‘Blatt fated for demolition, Nebraska Educational Television’s produced a new doc about the stadium on the hill that is part homage, part indelible video keepsake. As any story about a doomed monument must, the film celebrates the rich legacy and mourns its passing. Poignant stuff. Keep the tissues and hankies handy.